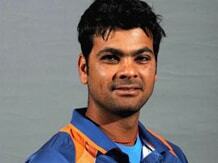 Former India pacer R P Singh on Tuesday announced his retirement from the game. The 32-year-old Singh, a left arm speedster, took to Twitter to announce his decision. "13 years ago today, on 4th September 2005 was the first time I donned the Indian jersey. It was the stepping-stone to what would become the most cherished moments of my life," Singh wrote on his Twitter account. "Today as I hang my boots and call it a day, I wish to remember and give thanks to each and everyone who made this journey possible," he said. He was one of the heroes of India's 2007 World T20 triumph and played a major role in India's Test win over Australia at Perth in that year. "For someone born in a small village, I never thought I would be able to say this I have lived my dream. And for that, I have nobody else to thank but you. My fans. For believing in me. for criticizing me and for hailing me but mainly for just being there for me. Thank you!" Singh signed off.